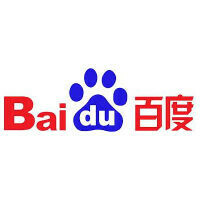 Baidu is already essentially the Google of China in terms of search market, and it has been working towards making a similar name for itself in the mobile world by forking Android for its own purposes. Today, Baidu announced that it had agreed to spend $1.9 billion to purchase an Android app store with plans to bolster its mobile offerings. Baidu has agreed to purchase 91 Wireless Websoft Ltd., which runs one of China's largest mobile app stores, the HiMarket app store. 91 Wireless had been owned by China's NetDragon Websoft Inc. The acquisition is the largest in Baidu's history, which shows how serious the company is about its push into mobile, and gives Baidu a true competitor to its rival Qihoo 360 Technology Co. While Android is a market leader in China, many of the devices are non-Google Androids, and as such don't have access to the Google Play Store. This move should be big for Baidu, and should help to bring a reliable Android app store to more Chinese smartphone users. Not rich as google. Google should buy this company instead. A rogue search engine ... i have their crawlers looped back to 127.0.0.1 as they simply don't bother about robots.txt file. Next rogue crawler in same line is bing.